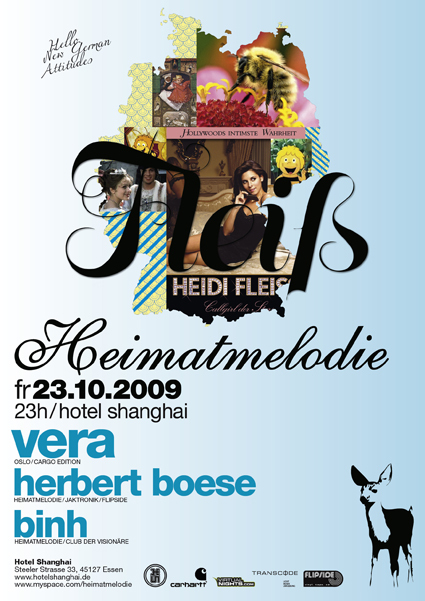 This weekend Vera, another example for the emancipation in the DJ booth, visits Essens famous club Hotel Shanghai. Whether in her own productions for labels like Oslo or in her collaboration work with Mayaan Nidam aka Miss Fitz under the moniker Mara Trax: the charming lady from Frankfurt always plays deep. In her DJ sets she likes it gentle and mixes electronic music that meanders soulful between the traditional banks of House and Techno. The right characteristic for an all-night party, where you never get out of step.